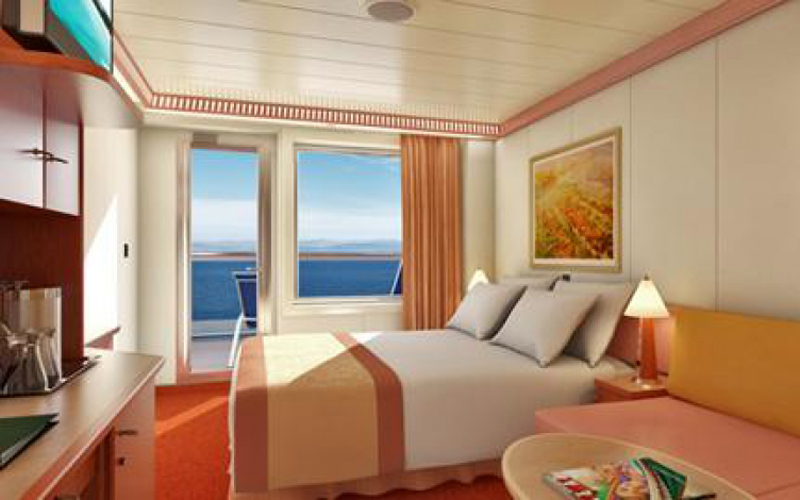 Images are representative of staterooms and floorpans. Actual configurations may vary. Click here for photos and descriptions of Triple and Quad accommodations. 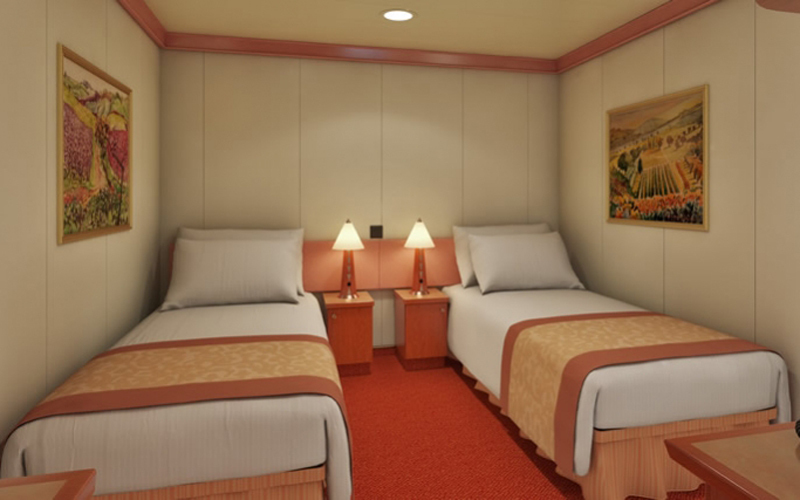 Please refer to the ship’s Deck Plans for individual cabin configurations and descriptions. 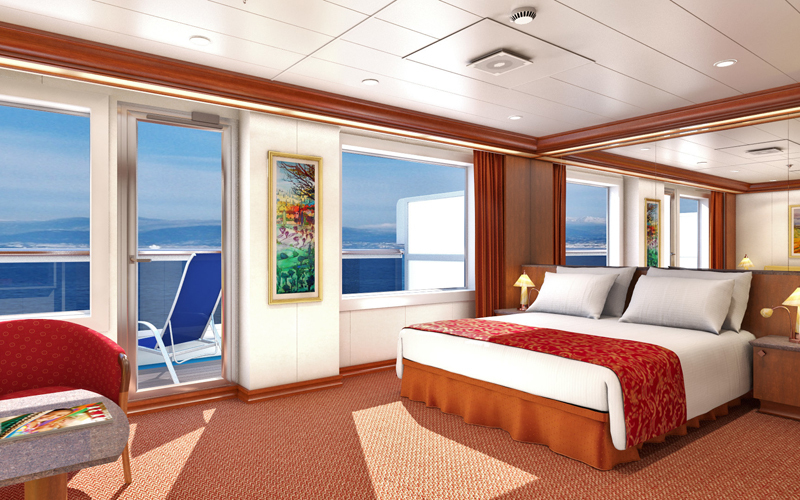 With room for up to four guests, Interior staterooms have two lower twin beds which can convert to a king-sized bed (with upper Pullmans and/or sofa bed for 3rd-4th guests). Enjoy your view of the sea from a comfy and spacious Oceanview stateroom. Includes two twin beds that convert to a king-sized bed (with pullman, sofa, or trundle for 3rd-4th guests). 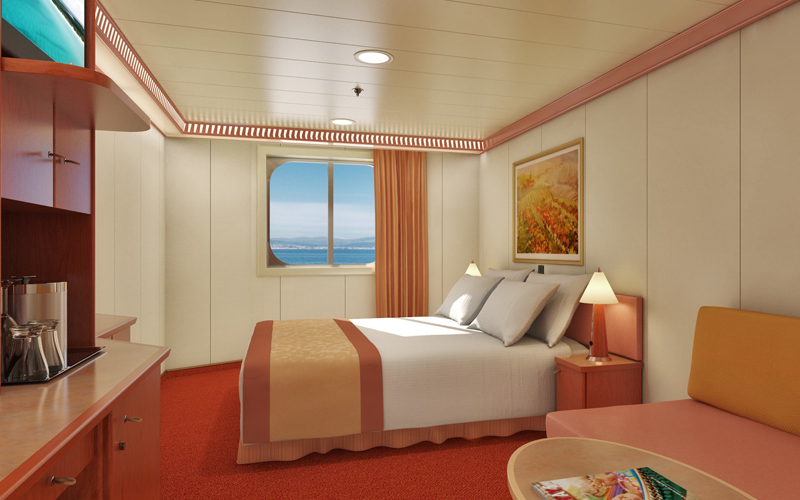 Balcony staterooms provide a sea breeze and stunning views! Includes two lower twin beds which can convert to a king-sized bed, (with pullman sofa, or trundle bed for 3rd-4th guests). 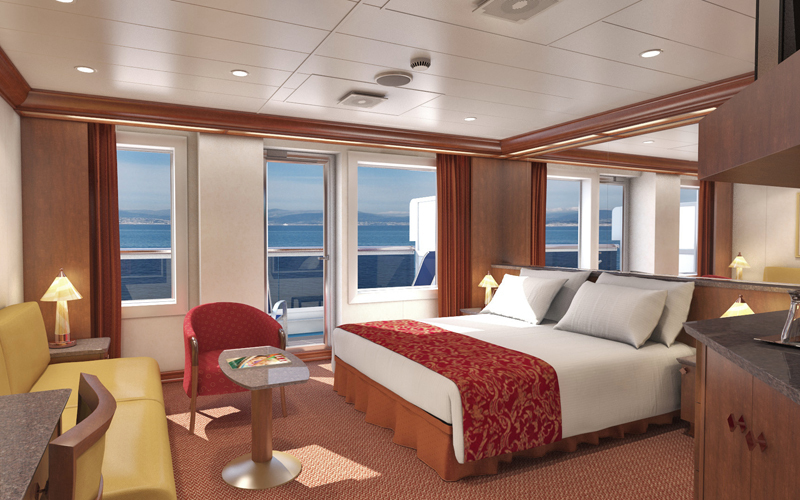 With more space and a larger balcony, an Ocean Suite provides luxurious relaxation. Includes two twin beds that convert to a king (sofa bed and trundle for 3rd -4th guests), a walk-in closet, and whirlpool tub. A Grand Suite features more space, a huge balcony, and is loaded for an unparalleled experience! Includes two twin beds which can convert to a king (double sofa bed and trundle for 3rd-4th guests), plus a whirlpool tub, and a convenient dressing area with vanity.